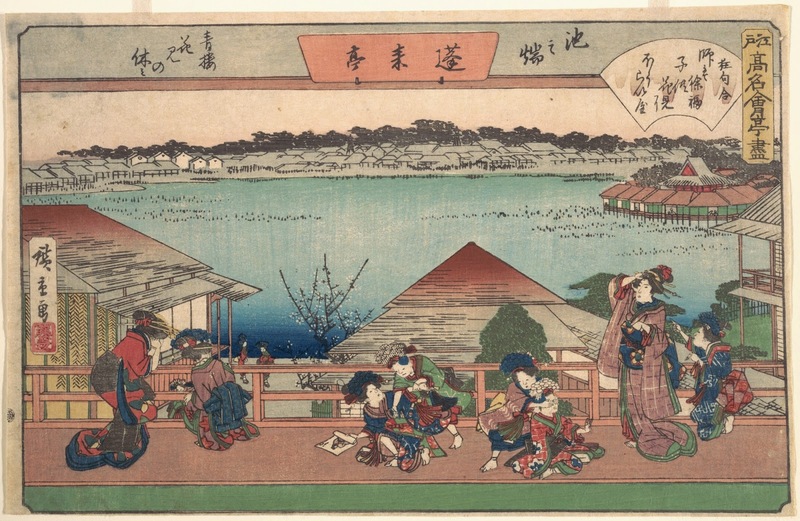 Infinite Art Tournament: The Semi-Finals: Bouguereau v. Hiroshige! "Semifinals" designates the Fourth to Seventh Rounds of the Infinite Art Tournament. This is a Left Bracket Fourth Round Match between Adolphe William Bouguereau (4-1, 41-20, .672) and Andō Hiroshige (3-1, 27-23, .540). Ending a remarkable Tournament career by losing to Bouguereau in Third Round Elimination was George Bellows (4-2-3, 71-45, .612). Of all of the artists to leave the Tournament thus far, he appeared the most times (nine, breaking a previous record of seven). He accumulated the most votes in favor (71) but also the most votes against (45). However, his relative "batting average" of .612 puts him in seventh place among the 372 artists who have left the Tournament, and his vote margin (26 more votes for than votes against) is the highest on record. Probably there are some Bellows fans that would really like to see Bouguereau taken down a peg right now. 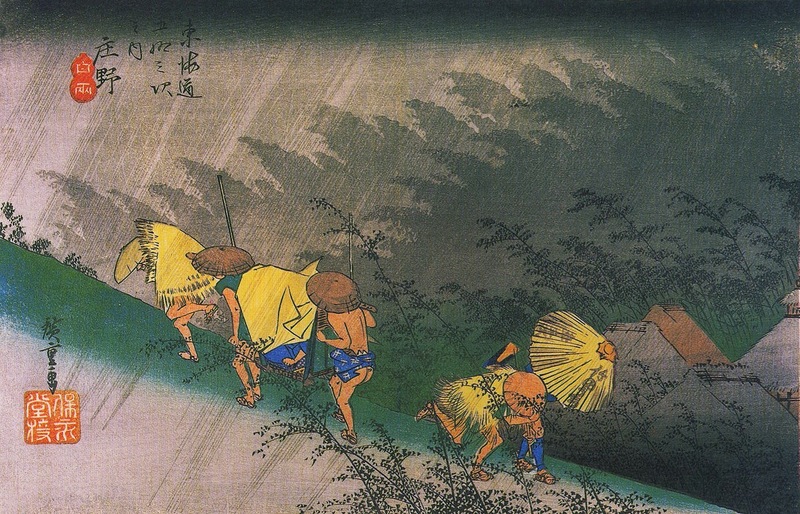 But will Hiroshige have the votes to get the job done? Let's find out! Finished Second in Phase 1, Flight 2 of the Play-In Tournament with a voting score of .733. Finished First in Phase 2, Flight 2 of the Play-In Tournament with a voting score of .455. Walloped Domenico Beccafumi in the Main Tournament First Round. Walloped Gwen John in Round 2. Lost to Frida Kahlo in Round 3 by a single vote. YOUR VOTE COUNTS!!! Cruised by Guido Reni in the Left Bracket Third Round. Beat George Bellows in a surprising Left Bracket Third Round Elimination upset. Defeated Meindert Hobbema in Round 1 by a two-vote swing. YOUR VOTE COUNTS! Thumped on American folk painter Edward Hicks in Round 2. Beat Switzerland's Ferdinand Hodler in Round 3. Lost to Remedios Varo in Round 4. Ugh, you're right, I would so much rather be voting for Bellows. 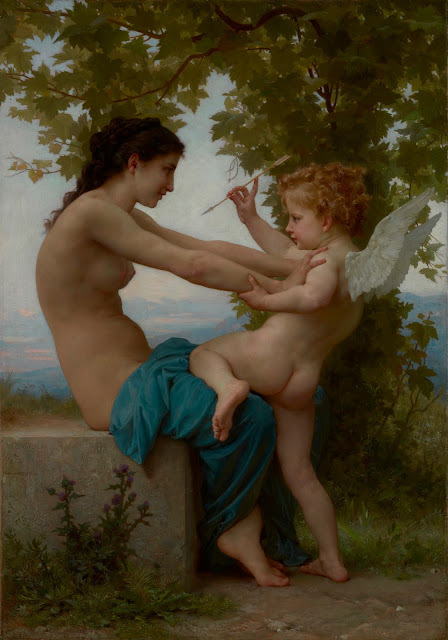 But I guess I'll go with Bouguereau. Every time I've been in an art museum within the past year or so, there's been a Bouguereau that has been 1) instantly recognizable as a Bouguereau and 2) the best painting in the room. There's something about the realism of his art as well as the size of the paintings (quite large!) that makes me vote for him here. I wonder if I might choose differently if I hadn't seen his paintings in real life. 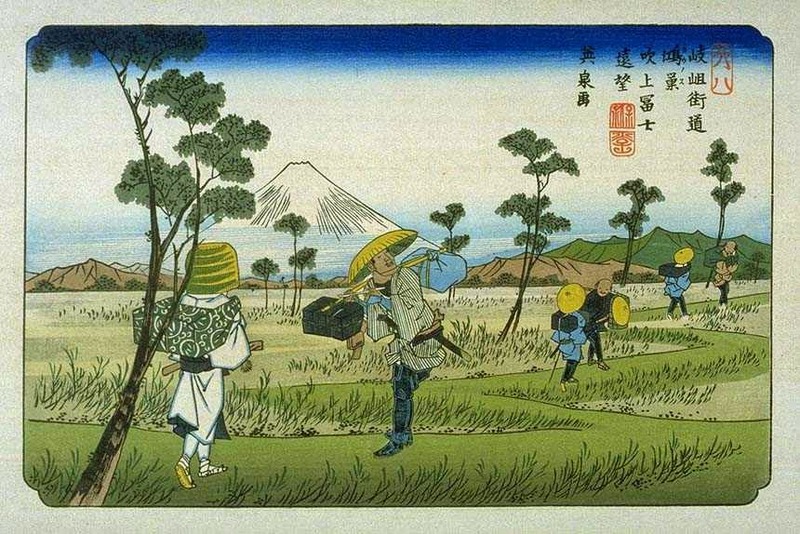 I love Hiroshige, but it's time for him to go. 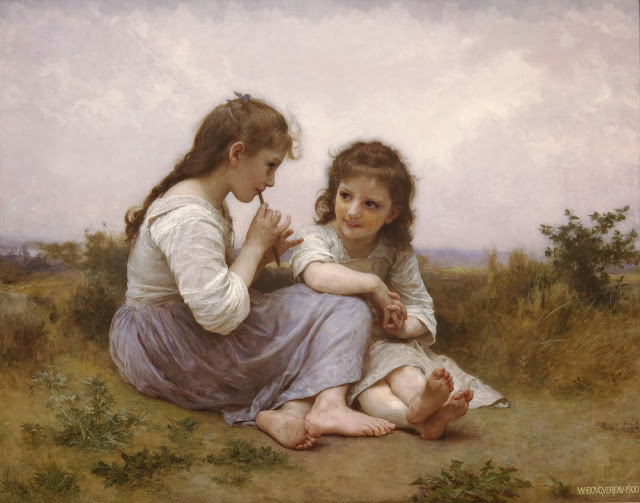 I will cheerfully continue my support for Bouguereau! Aww, this is tough, man. 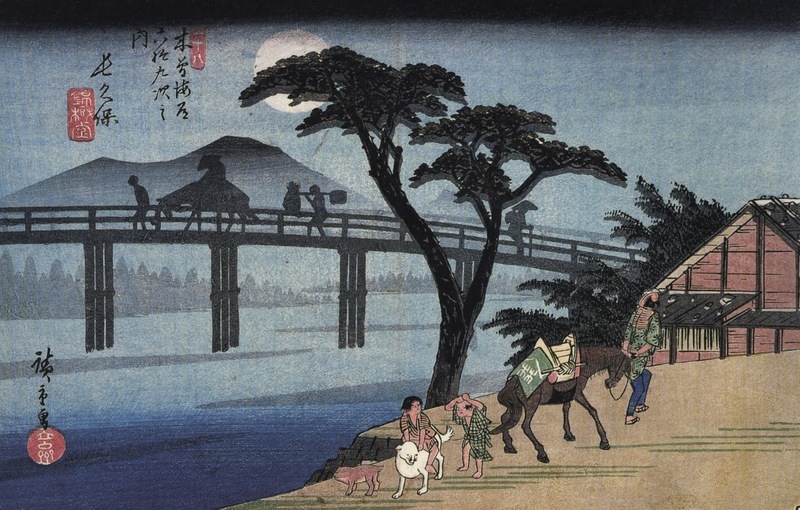 I really do like Hiroshige. 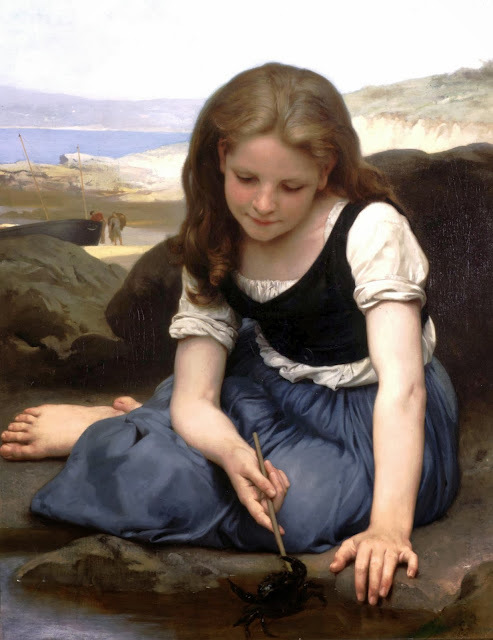 But--I'm going to go for Bouguereau, whom I like a bit better. 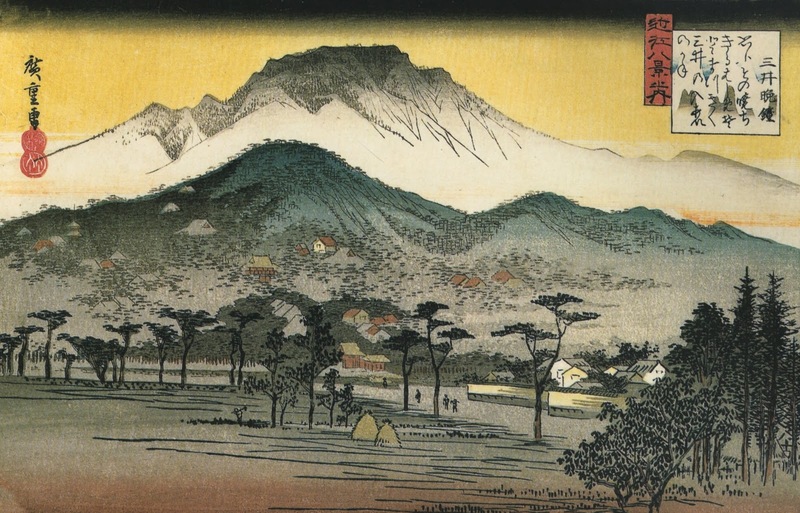 Love him, hate him, or... like him, Bouguereau has won again, taking down Hiroshige by seven votes to three. He takes on Winslow Homer next, which, well, we'll see how that goes down. Meanwhile, Hiroshige exits with three wins and two losses, making him one of the many winner of the Infinite Art Tournament!